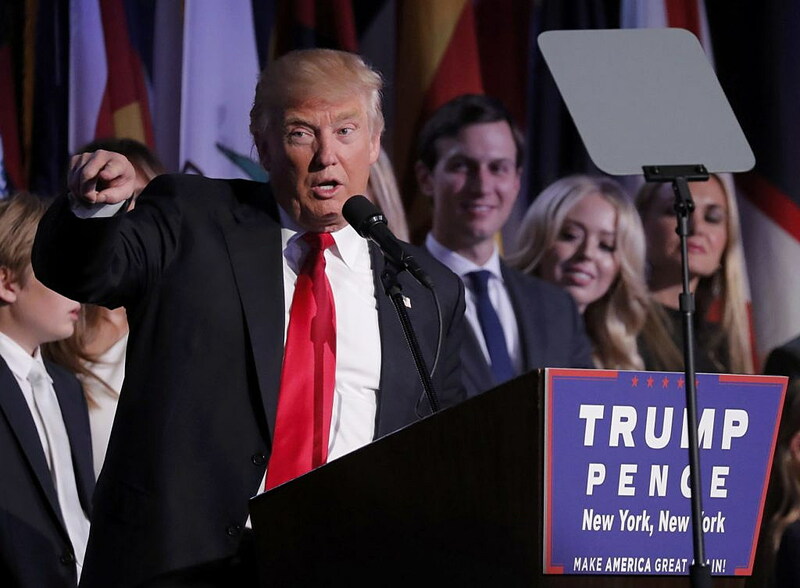 WASHINGTON (Reuters) – Donald Trump, elected U.S. president on Tuesday, will enjoy Republican majorities in both chambers of Congress when he takes office in January and an early Capitol Hill honeymoon is likely on several issues, but a long-term romance may be more challenging. Under normal circumstances, a president whose party controls both the Senate and House of Representatives can count on getting things done fairly quickly and Trump likely will not be an exception, but he will start with unusual handicaps. Many fellow Republicans in Congress only backed Trump after he became the nominee. Some never did fall in line. He offended and attacked some of them in the campaign, including House of Representatives Speaker Paul Ryan. On top of that, the New York real estate mogul and former reality television celebrity, who will head the world’s most powerful government and largest economy, has no governing experience. “Speaker Ryan called Donald Trump earlier this evening, and the two had a very good conversation. The speaker congratulated Trump,” Ryan spokeswoman AshLee Strong said. Trump and the Republican leadership in Congress agree on at least one major policy: They want to repeal Democratic President Barack Obama’s landmark healthcare law, known as Obamacare, enacted in 2010. “I would expect the very first thing a Republican Congress would do would be to repeal Obamacare,” said Republican Oklahoma Representative Tom Cole, a Ryan ally, in an interview on Monday. Such a step would shake the U.S. healthcare and insurance industries, which have broadly called for measured reforms to Obamacare, although not for its full-scale repeal. America’s Health Insurance Plans, or AHIP, a trade association that represents insurers such as Anthem Inc and Cigna Corp in Washington, said late on Tuesday that it would work with any new administration on the issue. “We will work across the aisle with every policymaker and the new administration to find solutions,” AHIP said in a statement. Aetna Inc, the No. 3. U.S. health insurer, said in August it was reducing its involvement in Obamacare. That decision followed similar moves by United Health Group Inc and Humana Inc.
Trump has called Obamacare a “disaster” and vowed to repeal and replace it. House Republicans have already voted more than 50 times to repeal all or part of the law. Senate Democrats were certain to fight an Obamacare rollback, but could be outmaneuvered by Republicans at the procedural level with Trump’s cooperation. Repealing the healthcare law could trigger a public backlash in 2018’s congressional elections from millions of Americans who would lose their health insurance coverage. Before the election, analysts said that both Clinton and Trump would arrive in the White House with some of the weakest approval ratings of any newly elected president. Beyond killing Obamacare, Trump generally sees eye to eye with Republicans in Congress in calling for major tax cuts, including those for the wealthy, although details of their plans do not match up. Trump has called for cutting the U.S. corporate income tax rate to 15 percent from the current level of 35 percent; Ryan’s tax plan proposes going to 20 percent. Trump and Ryan both back reducing the current number of tax brackets to three from seven. Trump supports lowering the top individual income tax rate to 25 percent from 39.6 percent, while Ryan wants it to go to 33 percent. Congressional Republicans likely would welcome a move by Trump to rescind some of Obama’s executive actions on immigration, labor rights, the environment and global warming. Cole suggested Trump would also move forward on a border security bill “right away.” But Trump’s signature proposal to make Mexico pay for the construction of a wall across the entire U.S.-Mexico border, which is 1,989 miles (3,200 km) long, has been met with skepticism among many Republicans. Many of Trump’s other proposals have been thin on details. Some of them, such as scrapping trade deals and spending hundreds of billions of dollars on infrastructure, do not easily square with Republican ideological orthodoxy, which embraces free trade and resists deficit-busting spending. In addition, Trump has said he wants to do some things as president, such as ban Muslims from the country and allow torture in the fight against terrorism, that some experts say are legally questionable. “If Trump oversteps his constitutional bounds, I think Congress will work to restrain his power … they will be much more willing to stand up to him when they think he’s wrong,” said John Feehery, who was spokesman for former House Speaker Dennis Hastert, a Republican. “Congress will make sure that he doesn’t do things that he can’t do,” Feehery said. Trump has switched party affiliation more than once and donated to Democrats, as well as Republicans. He is not overly familiar with Washington’s Republican establishment. With some leaders, such as Ryan, Trump’s relationships are already sour. Ryan, 46, is a generation younger than Trump. He is a clean-cut Midwestern budget and policy wonk who has been in Congress since 1999. He criticized many of Trump’s utterances, such as his proposed ban on Muslims and his comments about groping women, and Ryan did not campaign with Trump at all. Senate Majority Leader Mitch McConnell, of Kentucky, has been in Washington even longer than Ryan. McConnell also held Trump at arm’s length, saying little about him in the campaign. McConnell said in June that if Trump were elected president, he would not change the views of the Republican Party, suggesting instead that the party would likely change Trump. Another crucial issue will be the need to fill a Supreme Court vacancy. Whatever happens, it unlikely to be boring. “On Trump, the unpredictability factor is significant,” said Bruce Josten, chief lobbyist at the U.S. Chamber of Commerce.